Of course, I'm still working on the Chevron Afghan. 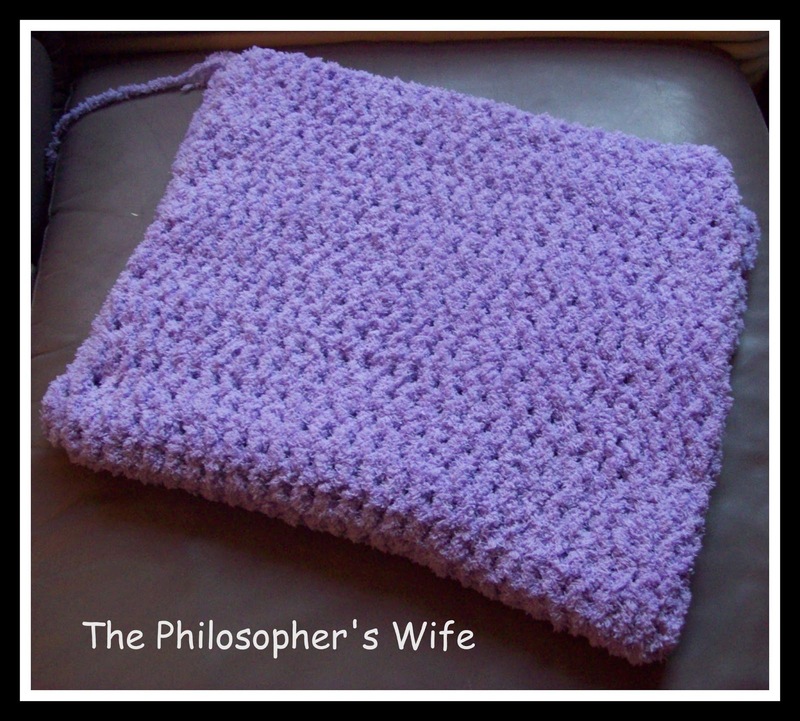 This week I made a quick baby blanked with some fluffy purple yarn I had on hand. This yarn is awesome, it is almost like a minky fabric turned into yarn! It is super soft; however, it's surprisingly difficult to work with! 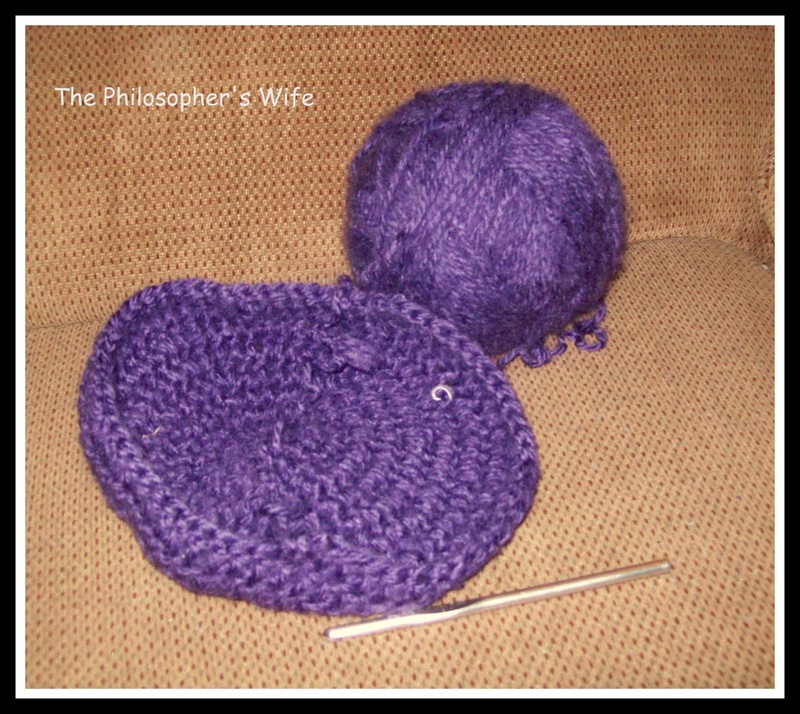 It's almost like crocheting blind, because you can't see where you're supposed to put the hook! I think that I am going to add a flower applique or two in one of the corners. 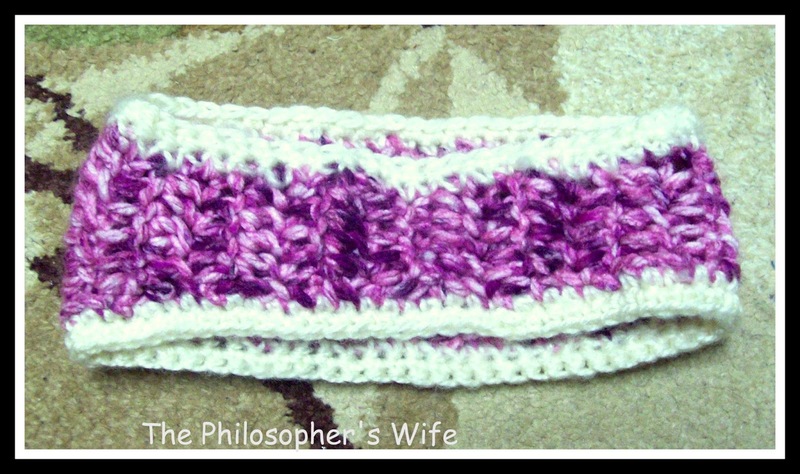 I wanted a super quick project and had just a small ball of this variegated purple yarn, so I made this cute headband. I also decided to make a couple of hats with some Jiffy yarn I had on hand. I'm having a Flash Sale right now over on my Facebook page. New items will be added periodically this week. Perhaps even the above headband and hats . . . I'd love if you'd stop by! (Currently there some bracelets and a pair of Yellow Earrings up! 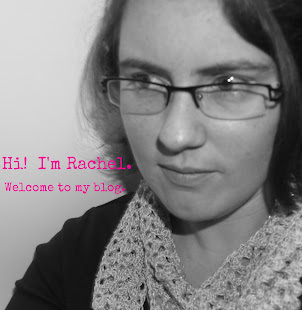 All such beautiful projects, Rachel! 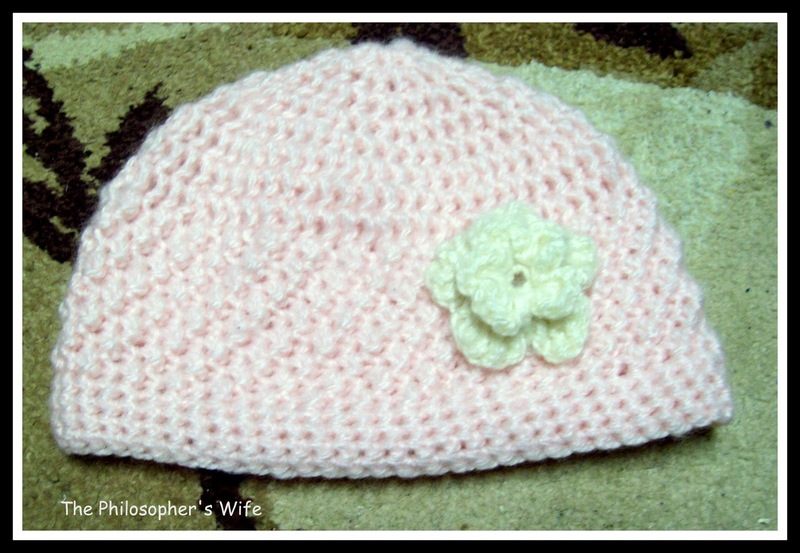 I love the yarn, too, especially the yarn for the headband. I'm sure these will sell well because people love crochted baby items! Thanks for sharing at Hookin On Hump Day!